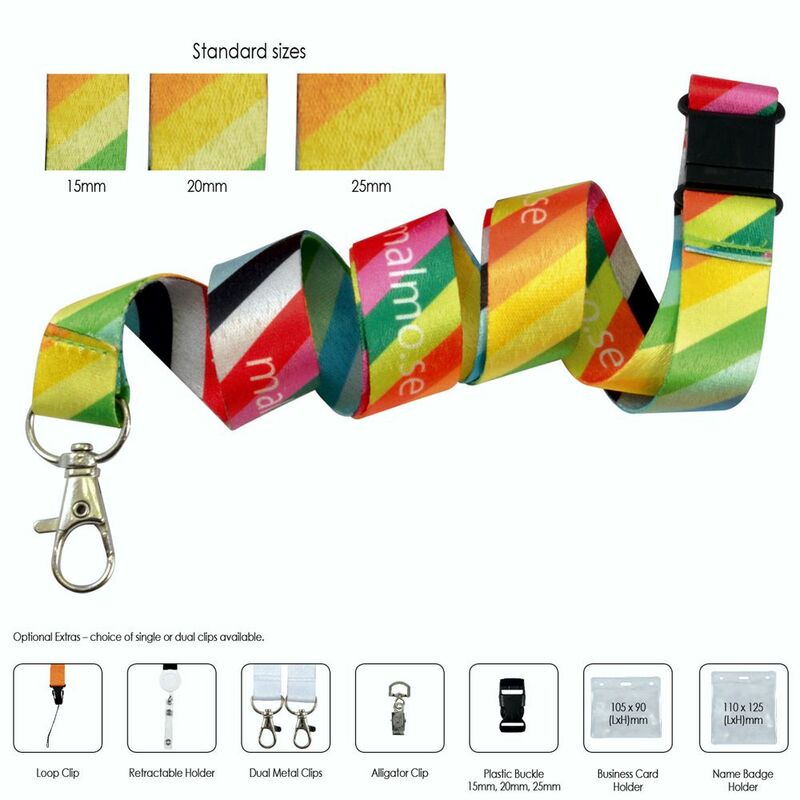 Sublimated full colour (satin feel) lanyard printed 2 sides. Choice of 15mm- 20mm- 25mm widths. Standard - swivel metal hook and breakaway fitting Same design both sides pricing.